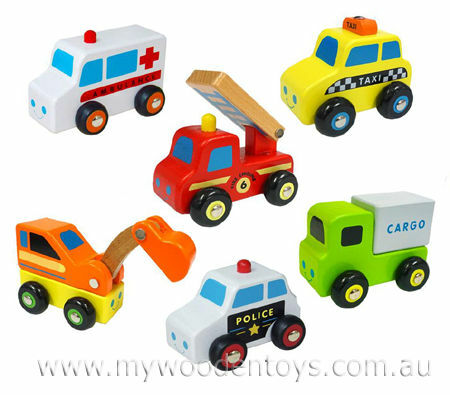 Wooden Six Vehicle Truck Set is a brilliant collection of emergency vehicles, and construction trucks. These little vehicles are nice and strong with solid wooden wheels and lovely bright colours. The digger and fire truck both have moving parts just to add to your building and emergency fun. Material: Wood with child-safe paint metal pin axles. We like this because: "Strong little trucks - lots of play possibilities."